I believe in being open to methods of all kinds, from the most archaic techniques to the cutting edge. For example I think that mining your dreams is a great source for inspiration. But I also think that plain old brainstorming can be just as effective, and these days there are some great brainstorming software tools out there. The best that I have found so far is called Workflowy. It’s a simple to use software that basically let’s you make lists. The lists are stored online and you can add smaller lists inside of the bigger ones. It works kind of like the Dewey Decimal system, in that any given entry is infinitely expandable. The software was designed as a way to keep track of projects, but it also works wonderfully as a creative brainstorming tool. I can then go into each entry and make a list of attributes, or possible story ideas for each character. For example under the character Odin I might list a dozen things about Odin that seem like they could be jumping off points to develop a story. 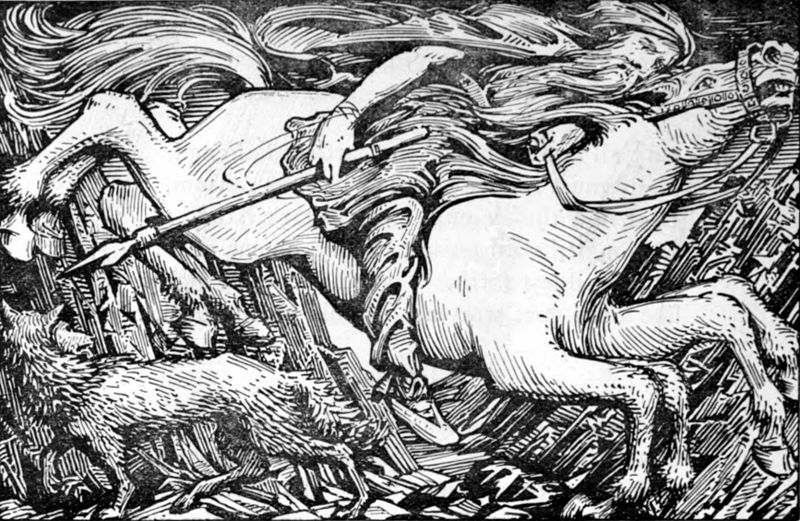 Odin has a 9-legged horse, he has one eye, he has a magic spear which never misses etc. Let’s say I thought of some different scenarios that sound interesting involving his 9-legged horse: I can then go into the entry for his horse – Sleipnir, and make a bunch of notes under that entry. The nice thing about Workflowy is that when I’m done making notes on the 9-legged horse, and I want to work on story ideas for Loki I can then close the Sleipnir entry so it’s out of the way . . . pages and pages of notes can be stored under a single word, so they remain accessible but unobtrusive.